Have you always thought about bringing a product to market? Do you have a special recipe or creative food idea, and an entrepreneurial bent, but just not sure where to begin? If so, then this class can help you get started! Join us at 21 Acres in our Certified Commercial Kitchen and learn from successful business woman and local food expert, Devra Gartenstein. Where do you go to find all the resources you need so you don’t miss anything? How do you navigate the licensing processes with the county or the state? How do you find affordable ingredients? How do you work with regulators to develop an approved product? 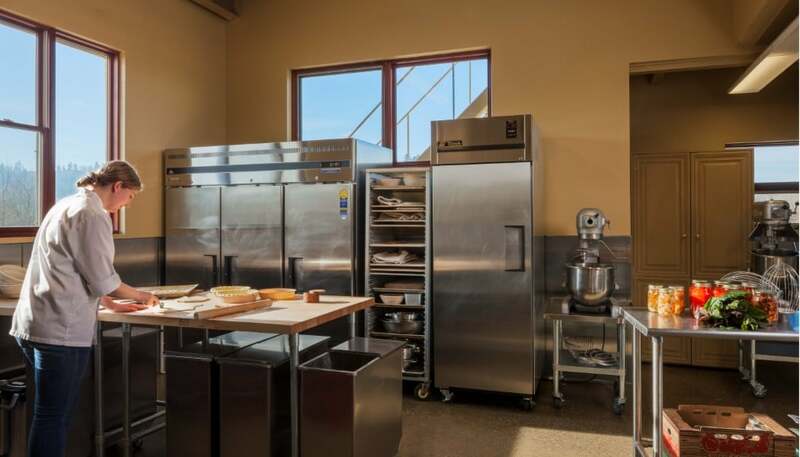 Where do you find a commercial kitchen and how much do you pay? Where do you find help with a logo and labels? Do you need barcodes and nutrition facts? How do you find enough customers? And, make sure they’re the right customers? Can you make a living at a food business? In just two hours you’ll have a good lay of the land and confident understanding about what steps you need to take to start a viable food business. Plus, enjoy a light lunch from Patty Pan Cooperative, a successful Seattle-area prepared food and catering business that makes the most dynamite products while providing a living wage and solid revenue returns for its staff. Come, learn! We guarantee this class will save you significant time and money in determining just whether starting a food business is a path you want to take. Devra Gartenstein has run small food businesses in the Seattle area since 1987, including Patty Pan Cooperative, the city’s oldest farmers market concession. She teaches cooking classes through PCC, and mentors small business owners through SCORE and the US Federation of Worker Cooperatives. Who will you sell them to? Where will you make them? Where will you source your ingredients?